The heat is on in Dallas! The weather forecast reports that the temperature will be over 100-degrees everyday this week. If you are like me, the thought of your a/c bill makes you cringe. 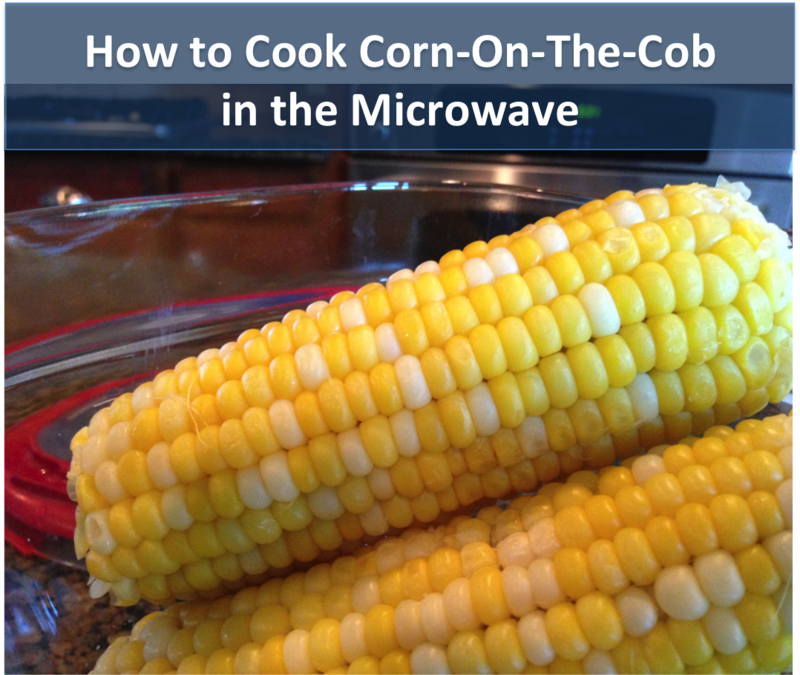 In today's post, I'll teach you how to cook corn-on-the-cob in the microwave so that you do not heat up your house with your range. It's quick, easy, and delicious. All that you need is a glass container with lid and 1/4 cup of water. 1. Add two ears of corn on the cob and 1/4 cup of water to a medium size glass container and set the lid on top of the container so that it isn't latched. You want to set it up so that it will let a bit of air escape during cooking. 2. Microwave for 4 to 6 minutes. We have a high powered microwave, so we go with 4 minutes and the corn cooks perfectly. 3. Allow the corn to sit for approximately 10 minutes with the lid still laying on top of the container so that only a small amount of air escapes. 4. Remove the lid and allow the corn to cool slightly before serving.